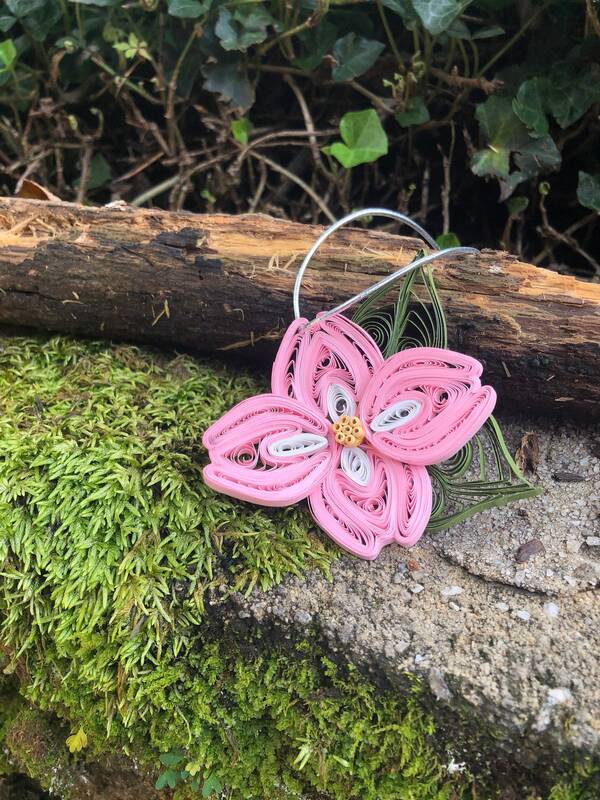 This ornament signals the beginning of Spring! 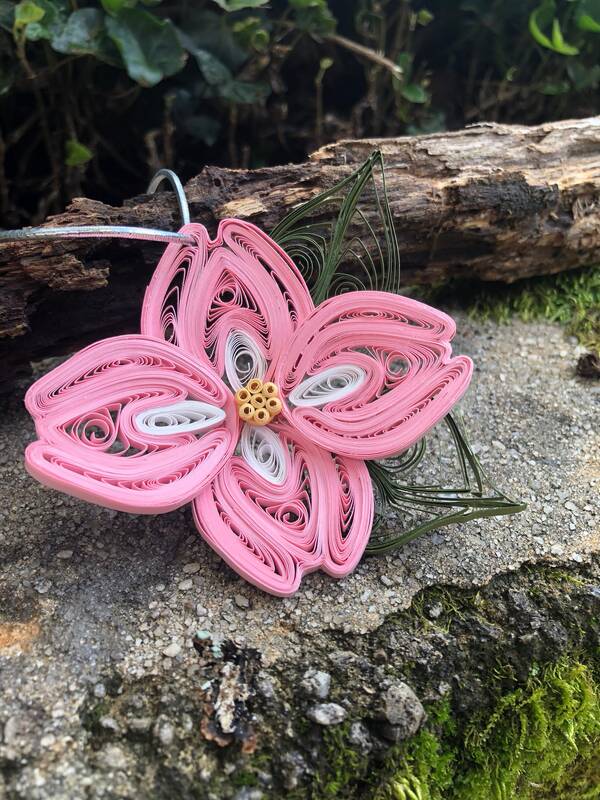 This is a one of a kind, handmade quilled pink Dogwood flower ornament. 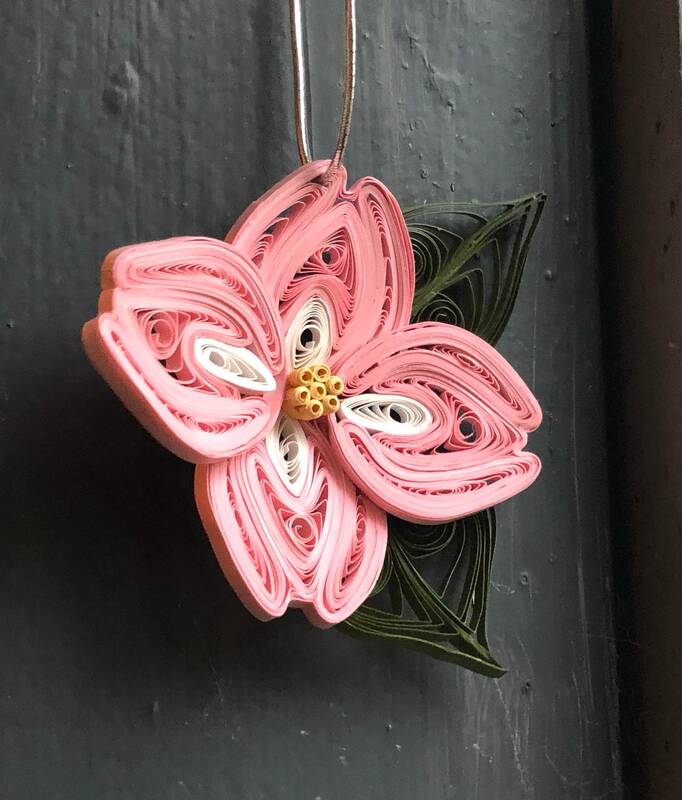 You will receive one unique 3” across Dogwood made with pink, white, yellow and green 1/8” wide paper. 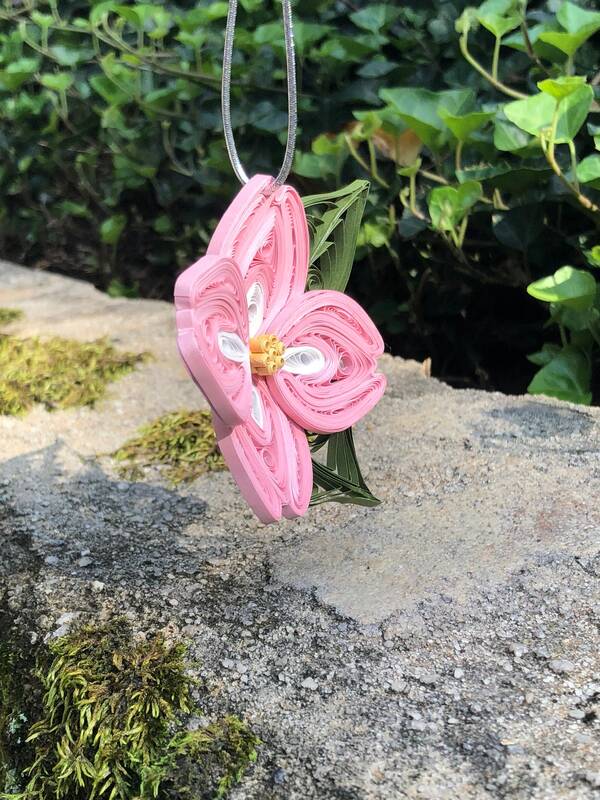 I have also sealed this beautiful dogwood with a clear sealant to enhance the durability of the decoration so you will enjoy it for years to come! 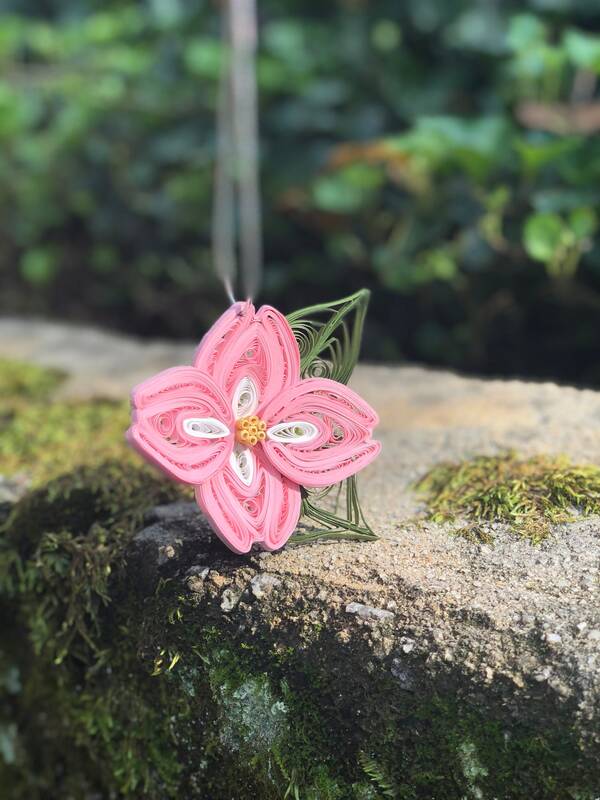 This would be a wonderful Christmas ornament or gift!